The Philippines military is about to end the long battle of Marawi where an Islamic State-linked terrorist group is making its “last stand” amid heavy fighting, top army commanders announced, according to AFP. “We are hoping that we will end this Marawi siege very soon,” Colonel Romeo Brawner, deputy commander of the task force battling the militants, told reporters on Friday, as cited by AFP. 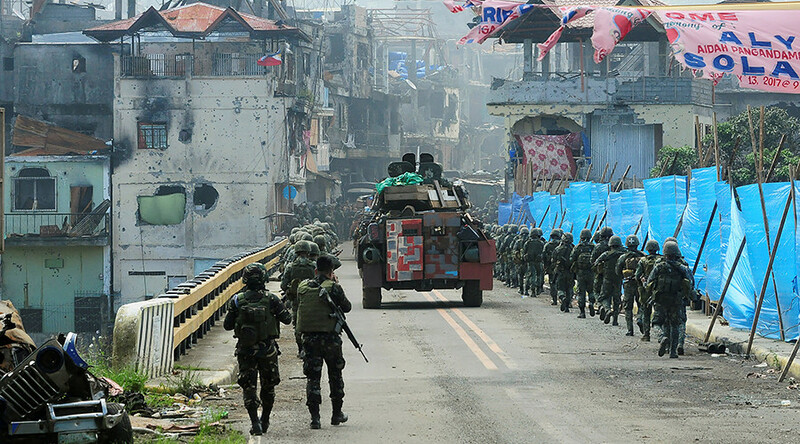 Around 40 militants remain in the besieged area, including warlords like Isnilon Hapilon and Omarkhayam Maute, whose group has pledged allegiance to Islamic State (IS, formerly ISIS/ISIL). Around 100 civilians, including hostages and families of the militants, are also trapped there, Brawner added. “Women and children are now forced to fight together with the Maute-ISIS fighters. These are desperate measures the Maute-ISIS are doing. This is their last defensive stand,” the officer said. The military previously estimated that they will liberate Marawi by Sunday. 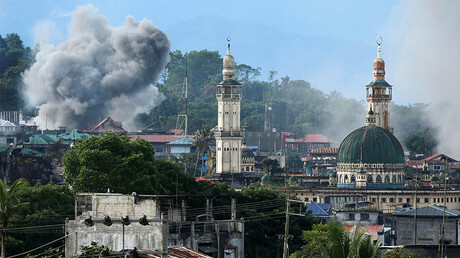 They said more than 1,000 people have been killed in the fighting, according to AFP. Twenty soldiers were wounded in the offensive, which illustrates the extent of the fighting, Colonel Brawner said. Earlier this year, the government deployed thousands of troops to remove the Islamist militants from Marawi. In August, President Rodrigo Duterte urged the parliament to agree to deploy 30,000 more soldiers and policemen to the troubled southern area of the Philippines. In May, Duterte declared martial law on the island of Mindanao for a 60-day period, which was later extended until the end of the year, as the battle against IS-affiliated militants intensified.